With just six short months until the General Data Protection Regulation (GDPR) comes into force, much of the NHS’s attention remains fixed on the huge penalties that could be levied for organisations found in breach of it. But with its commitment to data portability, could it also serve as an opportunity to finally crack the old chestnut of a problem that is interoperability in healthcare? Jennifer Trueland investigates. 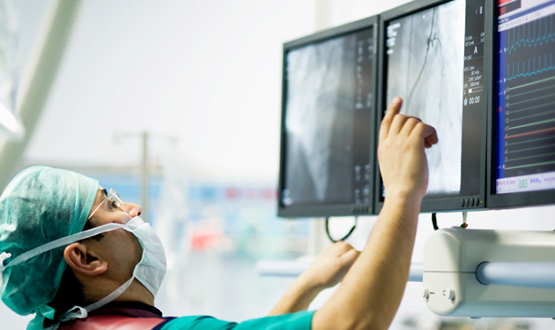 Interoperability remains a major challenge for healthcare IT. Despite efforts to make systems talk to each other – and some pockets of good practice – for most, it remains a pipe dream. Next year, however, new European regulations come into force to update data protection laws, encouraging greater transparency and putting more control in the hands of citizens. The General Data Protection Regulation (GDPR) is a big change, and it will happen, regardless of Brexit. 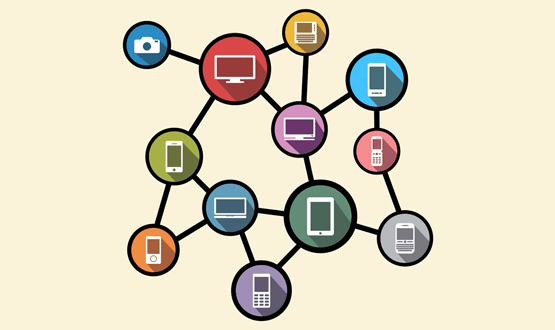 But will it be the push that is needed to make interoperability in healthcare an imperative? History suggests the need for some caution: back in January when the year was still young and full of possibilities, various experts in the field predicted that interoperability would be a big priority for the NHS in 2017. A Digital Health News review of leaders found a strong expectation that linking existing IT systems together would take precedence over deploying new technology. The hope was that work done in previous years to develop shared coding and operating standards would bear fruit, directly improving the care of the patient (by, for example, making it possible to easily share electronic records between different providers). It was also hoped that interoperability would help unlock the possibilities of using big data and analytics to inform system-wide transformation. There’s nothing wrong with a bit of ambition but, in the dying weeks of 2017, it’s probably fair to say this year hasn’t seen a huge leap forward in the interoperability space. That’s despite the best efforts of NHS Digital and others to develop and implement shared standards, and calls from the likes of Matthew Swindells for NHS bodies to choose vendors who help to drive openness and data sharing into the system. David Roots, executive director for health and care with Civica, says many vendors are keen to engage with efforts to improve interoperability, but he warns that it is not an easy process. Interoperability has been on the agenda for the 35 years that Roots has been working in this area – and his judgement is that it has been moving at “a snail’s pace”. Looking forward to next year, however, and there might be a new driver on the scene. In May 2018, the EU General Data Protection Regulation (GDPR) comes into force, changing the law governing the management and use of data – including data in healthcare. According to the Information Governance Alliance, the changes will mean “greater focus on evidence-based compliance, with specified requirements for transparency, more extensive rights for data subjects and considerably harsher penalties for non-compliance”. Among the provisions are a right to data portability, which, in a healthcare context, could mean that patients have a right to take their data with them between different organisations – meaning that these health bodies will have to make sure that they can a) find the information, and b) make it available in a transparent format. It could be partly a fiscal issue – while a fine of four per cent of annual turnover would obviously hit any NHS body hard, for a private organisation it could mean the difference between being viable and going out of business. According to Rob Dixon, capture products manager with Silverlink, GDPR should be making organisations think generally about how they provide and receive data, potentially assisting interoperability, as well as how they would deal with more specific provisions, such as the “right to be forgotten”. Over the years there have been several attempts to set standards to ensure that information can be passed between different systems. For example, this summer NHS Digital said it was moving to Fast Healthcare Interoperability Resources (FIHR) standards to improve communications between hospitals and GP practices. Some suppliers have worked hard to ensure they comply with standards, says Dixon, but they have to ensure they also meet the individual needs of clients – meaning they have to be rigid enough to satisfy the standard, while flexing to meet customer demand. Again, he would like to see more guidance from the centre, pointing out that while the IGA has published some, much more is needed. “There’s no one size fits all, and there are points that still need clarification, even within the UK,” he says. He believes that NHS bodies are in varying stages of preparedness, with some approaching it in an isolated and siloed way, while others are taking a more open and inclusive approach, recognising that it’s an issue for the whole organisation. “This isn’t just an IT thing,” he cautions. At the very least, having this information defined, documented and accounted for – in the one place – will save an administrative headache if a patient exercises their GDPR right to ask for the information to be removed. Well said. Not to mention the £BNs paid to range of suppliers for such miserable returns! I have said it many times, but I will say it again and again, until somebody does something: I have been waiting since the launch of what was laughingly called Connecting for Health in 2002 to see on a visible patient record everything that a GP, hospital, pharmacy, physio and Uncle Tom Cobbley an’all have done to me. After 15 years, all I can see on my record are my allergies, repeat prescriptions and some blood test results – but only from one of the hospitals which treat me. Sometimes, I get, by snail mail, outpatient reports and discharge summaries, usually 2-4 weeks after the event.Nothing more. All I can say to today’s clinicians and IT suppliers and IT departments is; Are you not ashamed of yourselves for leaving me, your frail elderly patient, in this state? what on earth have you been doing for the last 15 long years. I also ask: When are you going to shake yourselves out of your current torpor? And, as a first step, address interoperability, the first step in a decent comms system, seriously? As this article says, there is a lot of talk, but little sign of anything really happening. 1. The hospitals, (management and clinicians alike) who do their own thing, and for whom IT stops at the hospital gates. For them, communicating in a timely fashion is a chore, to be avoided at all costs. 2. The standard-setters, who have no teeth. Quite a range of comments. Sadly the reality is that many of the people who provide key systems to the Nhs seek to maintain the status quo despite positive words. Information has never been so critical. Information is about and belongs to the patient. When a patient is referred, at clinic, at procedure, admitted or discharged send the letters, report, results, appointments to the Digital patient – and let the patient share with their HCP. Until we give the patient control – we will just buy bigger and more expensive Systems, add little if any patient or clinical value….interoperability is about providing tools to HCP to do complex tasks. The outcome of those tasks belong to the patient! Let’s stop rattling on about standards and connecting Systems, this is the language of 1995, if I can look at the details of my amazon purchases (God Forbid) over the last 10 years??? Surely I can see the same transactions in my healthcare!! Is it time to add a blockchain concept to interoperability in healthcare? This would kill two birds at once. It would increase security and provide interoperability. The NHS should be ideally placed to do this. NHS Blockchain, anyone? I’ve been in Healthcare IT as long as Mr Roots and I’ll go further than him by saying that data interoperability isn’t just moving at snails pace but it’s a pipe dream in the context of achieving 100% GDPR compliance. Why? because it doesn’t actually address GDPR. Even if you’re able pool data from any number of siloed systems, you still need to incorporate unstructured data and then all forms of data needs to be manageable as a single data index and then properly reported against in a timely fashion. In my opinion, unless NHS organisations start to adopt GDPR compliant systems like CXAIR from Connexica ( http://www.connexica.com ) that can sit over all other systems and do the necessary work as described here then GDPR compliance will remain a massive elephant in the room from an IT perspective.